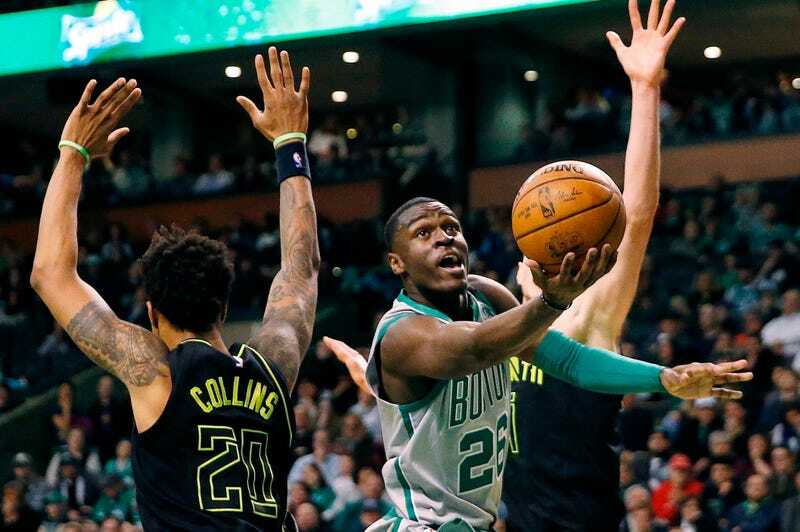 Police Say Celtics' Jabari Bird Assaulted, Choked, And Kidnapped Someone In "Domestic Incident"
Celtics guard Jabari Bird was arrested in Boston Friday night following a “domestic incident” in which he is accused of assaulting, choking, and kidnapping an unnamed victim. The victim was reportedly taken to a separate Boston-area hospital to treat injuries sustained in the incident. Bird was drafted 58th overall by the Celtics in 2017, and played for the Celtics organization under a two-way contract last season, spending most of his time with the team’s developmental league outfit in Maine. He signed a two-year contract with the big club this off-season, after impressing during Summer League play.